Laymen often consider damp as one of the serious damages that can spell doom to a building, including exterior and the interiors. But did you know, rising damp is a primary concern for most households? This is quite rare though, but it affects plenty of buildings if structural damage had been present or when moisture from the ground causes saturation in the walls. Most of the groundwater is replete with pollutants, like saltpeter and that seeps in through the building materials. As time passes by, there’s constant dampness that leads to the mushrooming of moulds, peeling off wallpapers, damaged render and so on. Earlier, rising damp was misdiagnosed in several cases, since moisture meters and the cause and effect of it was not adjudged properly. Why exactly do water seep in through these materials? Basically, moisture movement is likely when permeable building materials are present and that too by capillary action. The problem increases manifold after this moisture is seen to get in through the paints, finishes and the like. This moisture also has a capability to dissolve soluble salts from building materials like calcium sulphate. Once the moisture evaporates through the permeable surfaces, the salts as solid materials are left behind and form deposits. Some salt crystals enlarge and result in forming fractures all along the material and the process continues. 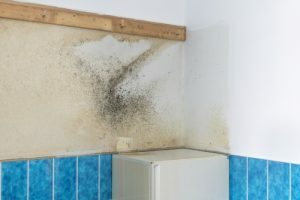 If the problem is a long term one, evaporation that occurs at the edge of the damp region forms a distinct ‘tide mark’ or ‘water mark’ owing to salt deposits. This is the first step to understanding that rising damp is on its way. High moisture levels have been an issue plaguing most households, but that also means one must detect the source and thereby work towards alleviating the problem. Also, it must be seen that the most cost-effective solution is resorted to. Suitable moisture sinks can be provided that dissipate the moisture at the source, without posing problem for occupants in buildings or the structure overall. Introducing physical barriers like damp-proof membranes or other materials that make a ‘damp-proof course’ or hydrophobic (water-repellent) materials like ‘chemical damp proof courses’. Vulnerable materials like timber or interior finishes should be kept isolated from damp fabrics, if any. Problems owing to rising damp can be prevented substantially if a Damp Proof Course is installed. Also, it must be seen that the one installed shouldn’t be faulty. In reality, it’s a waterproof layer in the wall, which lies six inches from the outside ground on the external wall or under the raised timber floor or near the concrete floor on the internal walls. Prior to installing the same, it must be verified by an experienced professional. After all, experts will always help in finding the best solution to the problem and that too, at feasible rates.